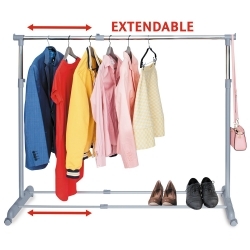 Robust, sturdy and stylish - HOLDS UP TO 100kg. 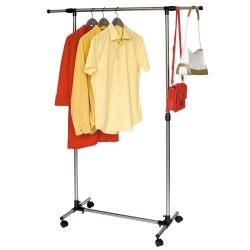 Adjustable length 127,5-187 cm, adjustable height 144-169 cm, 2 extendable bars allow 59 cm of extra space. 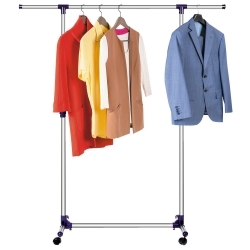 Made of durable, rustproof chrome plated steel with 4 REINFORCED HEAVY DUTY CASTERS for easy movement. 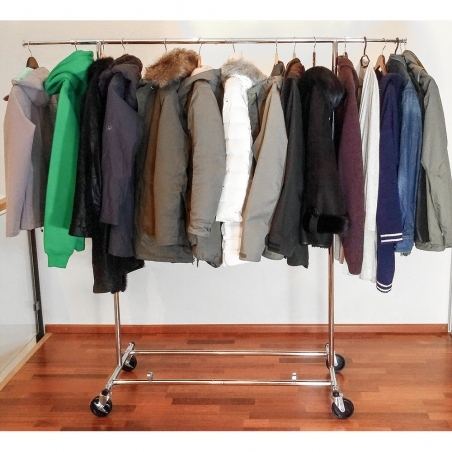 Dimensions: 127.5-187(L) X 55(W) X 144-169(H)cm. 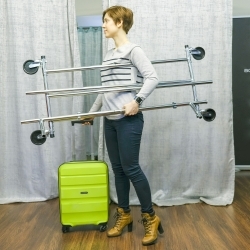 EASILY FOLDABLE for compact storage when not in use or while transporting. NO TOOLS REQUIRED TO BUILD! NO NUTS & BOLTS! SET UP WITHIN 1 MINUTE!